UCSB hosted the 2019 CUWiP @ UCSB, representing southern California, Arizona,and Hawaii on Friday, January 18 until Sunday, January 20, 2019. The goal of APS CUWiP was to provide a professional conference for undergraduate women and underrepresented genders to explore opportunities in graduate schools, careers, research, and community-building in physics. CUWiP is a unique networking opportunity for students to share meaningful experiences and have important conversations about the space we navigate as physicists. 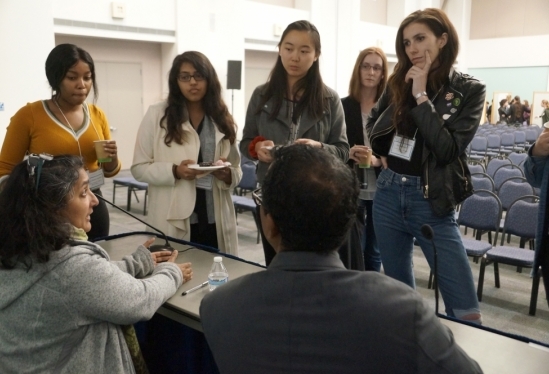 The 2019 program at UCSB will included research talks, panel discussions about graduate school and careers in physics, workshops and discussions about women in physics, student research talks and poster session, and laboratory tours.